"We are back… we are bigger… we are better." That's how MC Kamala Jno Baptiste-Aaron described the 19th edition of the World Creole Music Festival that was launched with flashing lights, roving cameras and Michele Henderson live last week, four months ahead of the event. Dominica's major tourism event was controversially cancelled in 2015 because Tropical Storm Erika, on 27 August, washed away plans to host the annual event. So we are back, making up for lost time and missed opportunities. Many agree. Here are 21 of the best performers of music from Dominica, the French Caribbean, Jamaica, Haiti, Grenada and Trinidad and Tobago that Dominica could attract with a small budget, increased in 2016 with a larger subvention from the Government of Dominica. Minister of Tourism and Urban Renewal Robert Tonge said at the launch of the festival on June 22 at the Anchorage Hotel that Government's subvention was increased from $780, 000 by an additional million. "This is a significant improvement in the financing of the festival and will allow for better and timely organization of the activity as well as provide more effective negotiation with the artistes when preparing for the line-up," Tonge said. Tonge said the 2016 event will be better and more exciting based on the excellent line up of artistes selected for this year. He said there will also be an improvement in the stage, sound, lights and the overall ambiance. "We knew that this year the show had to be bigger, better and a lot more exciting, we wanted it to have much better artistes so that when you heard the line-up you will no longer decide on which day that you are going to come you would have to be forced to buy a season ticket," he said. What will you see and hear and feel on 28- 30 October 2016 at the Windsor Park Sports Stadium? Friday October 28th: Timaya; Midnight Groovers; Kreyol La; Original Bouyon Pioneers; La Grand Merchand Zouk; Popcaan; Triple Kay International. Saturday October 29th:Extasy; Dede St. Pris; Ophelia; Morgan Heritage; Kes The Band; Mr. Killa; Wyclef Jean; WCK. Sunday October 30th: Breve; T-Mickey; Gentleman; Michele Henderson; Asa Banton; Akon. But the World Creole Music Festival is not all French Creole, as the list above indicates. Critics say the festival has lost direction and it has morphed into something that the creators did not intend. In her address at last week's launch, Chief Cultural Officer Jacinta David called for a return to the vision and policy of the original WCMF: to attract more visitors, yes, but also to develop the creole music industry. "This objective needs to remain our focus," David said. "We have to get the vision and policy right. 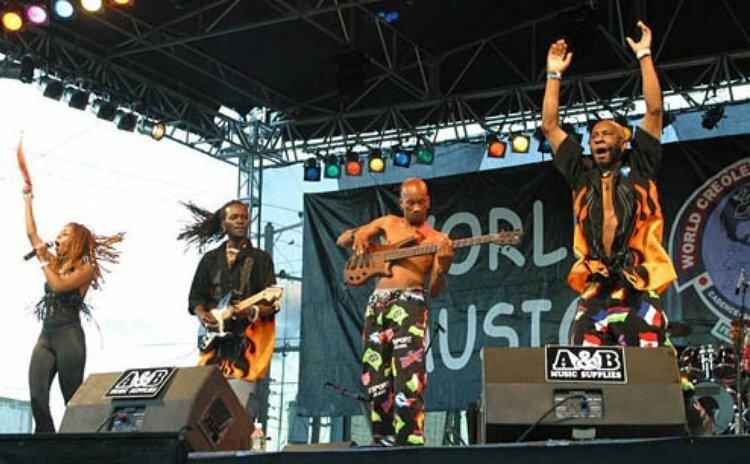 It-is-a-World-Creole-Music-Festival." With the emphasis on French Creole, she said. Otherwise we have reintroduced just another "big, better" music festival held in Dominica, the country that promoter Wadix Charles described at the 2016 launch as the "Creole capital of the world."